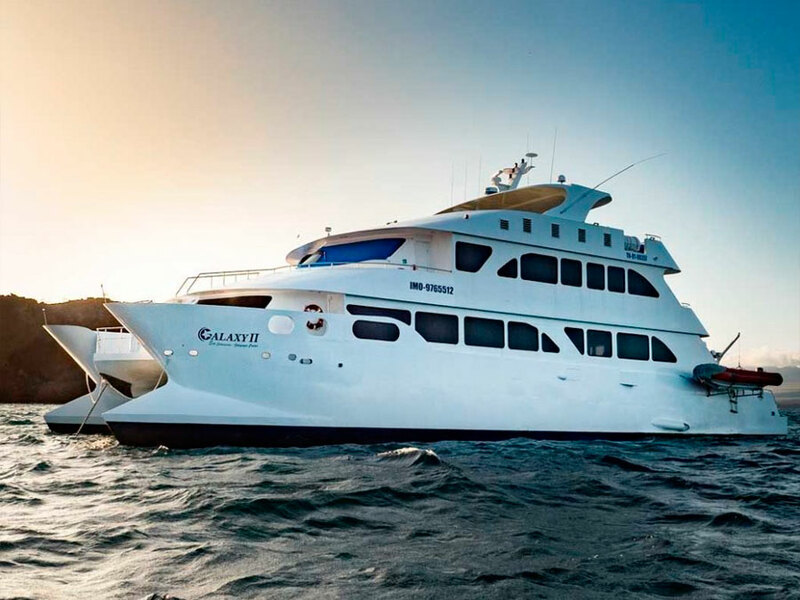 The Eco Galaxy Galapagos Cruise • Use the form below to contact us directly. 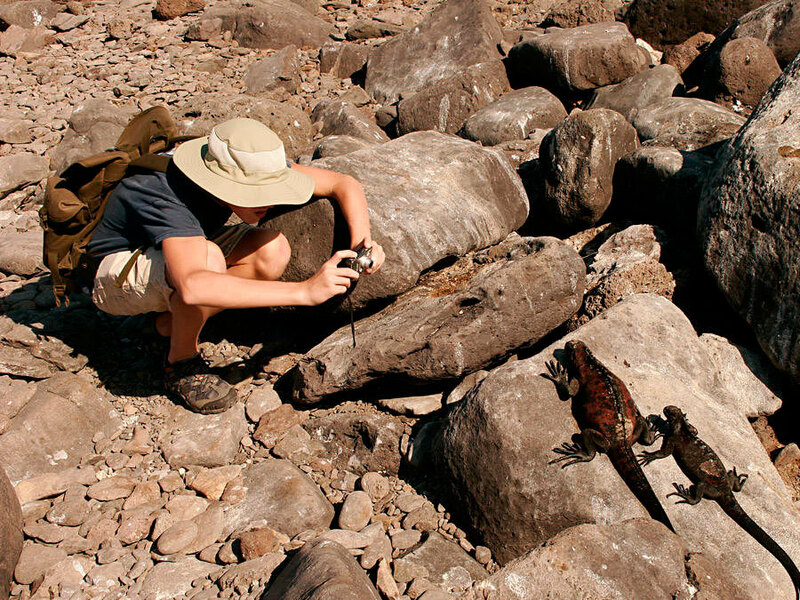 Fill in the fields to check availability & reserve direct with The Eco Galaxy Galapagos Cruise. 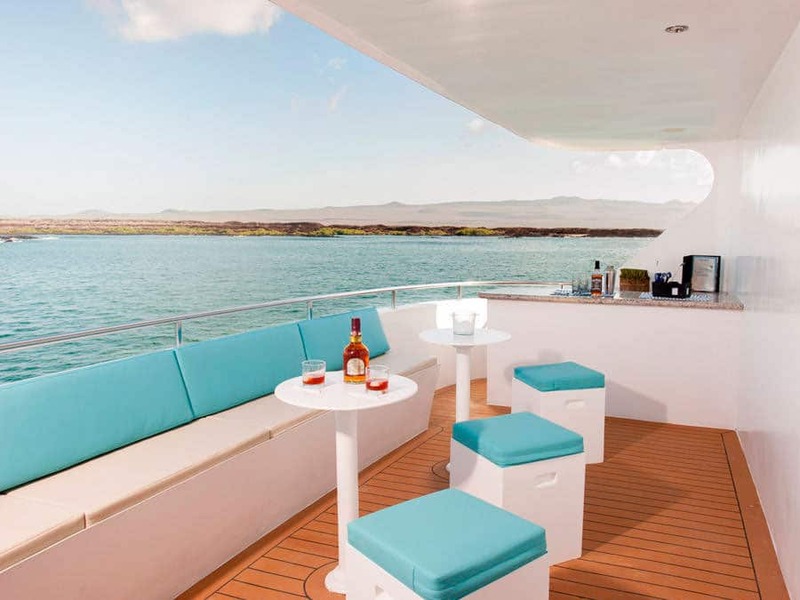 The Eco Galaxy Galapagos Cruise offers a first-class experience of the Galapagos Islands. 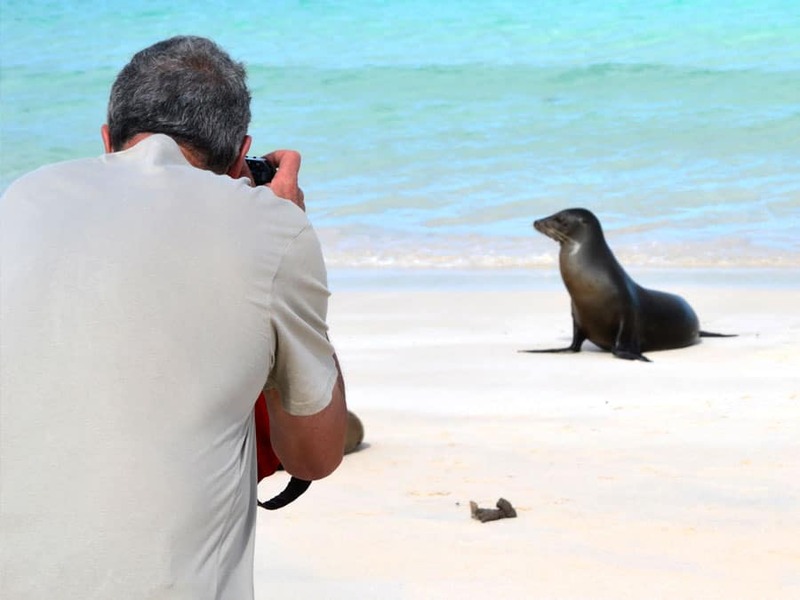 Enjoy very comfortable accommodation and social areas, expertly guided island expeditions and visits to some of the most famous and most wildlife-rich areas of the Galapagos. 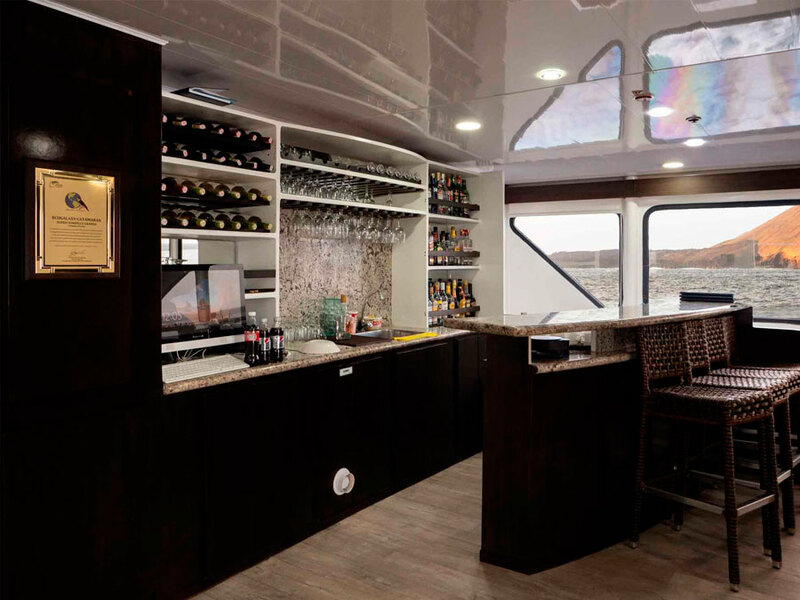 In addition to comfortable cabins, the vessel offers different social areas and a dining room where you will enjoy fresh and delicious meals. 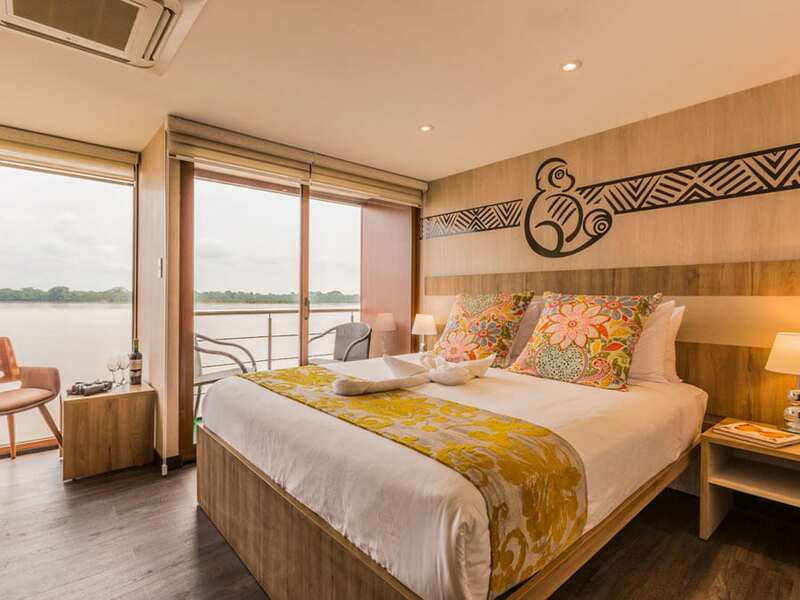 The Eco Galaxy Cruise offers 8 double cabins. 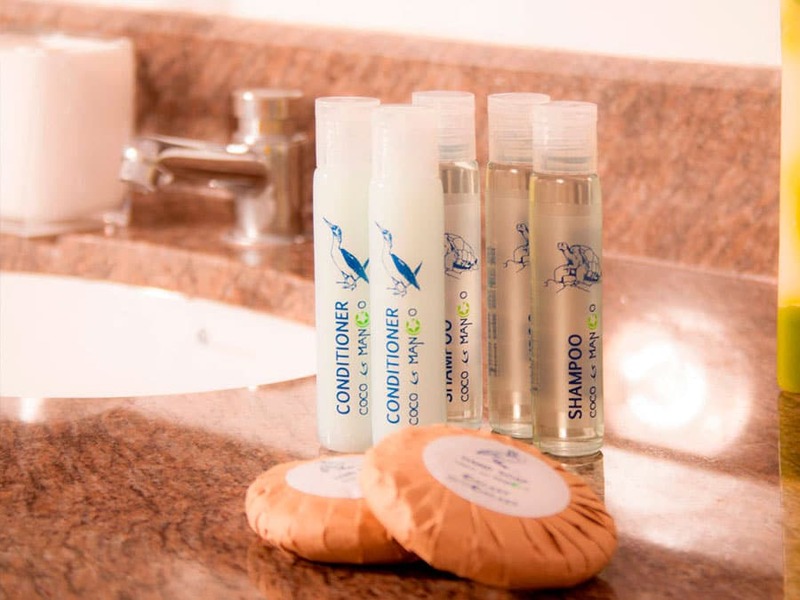 Four of these are found on the upper deck and four of these are on the lower deck. 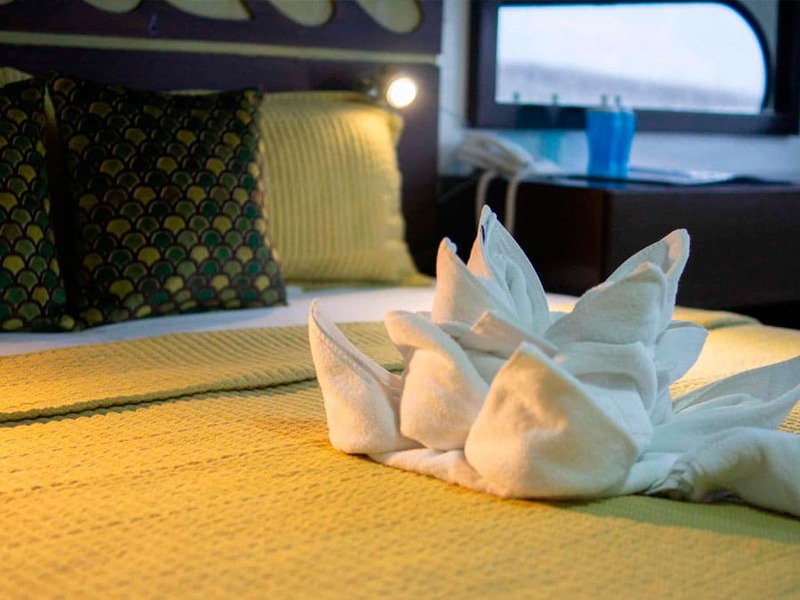 Each have a twin bed or a double bed and feature private bathrooms. 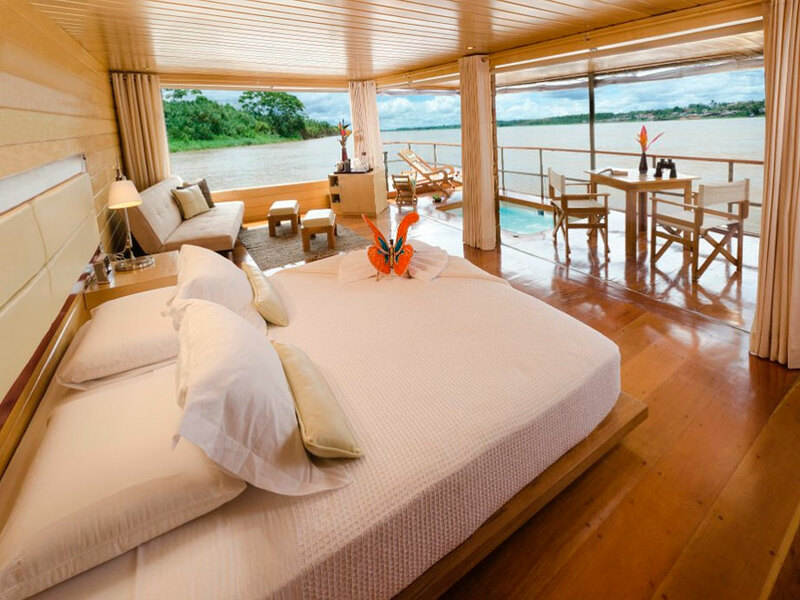 The cabins also feature hot water, air conditioning and telephone and internet communication. 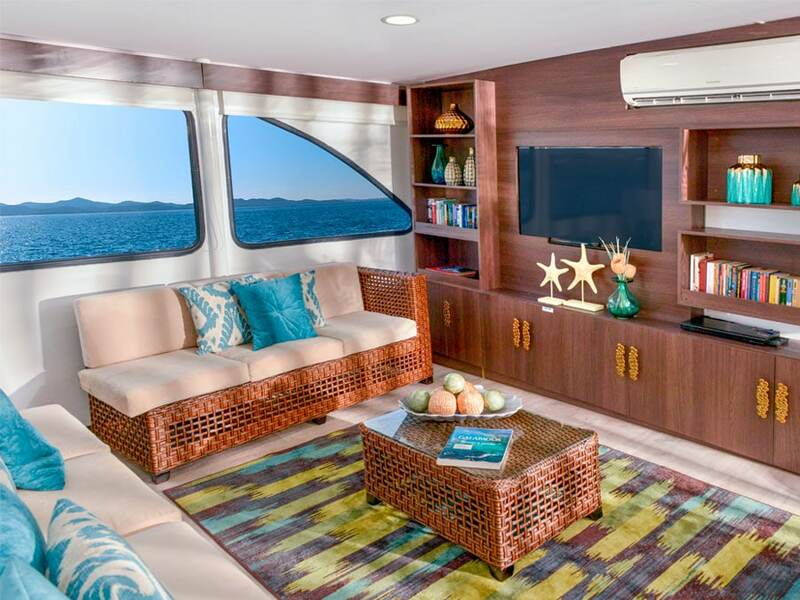 In addition to the Eco Galaxy’s comfortable cabins, you can enjoy the different social areas between excursions. 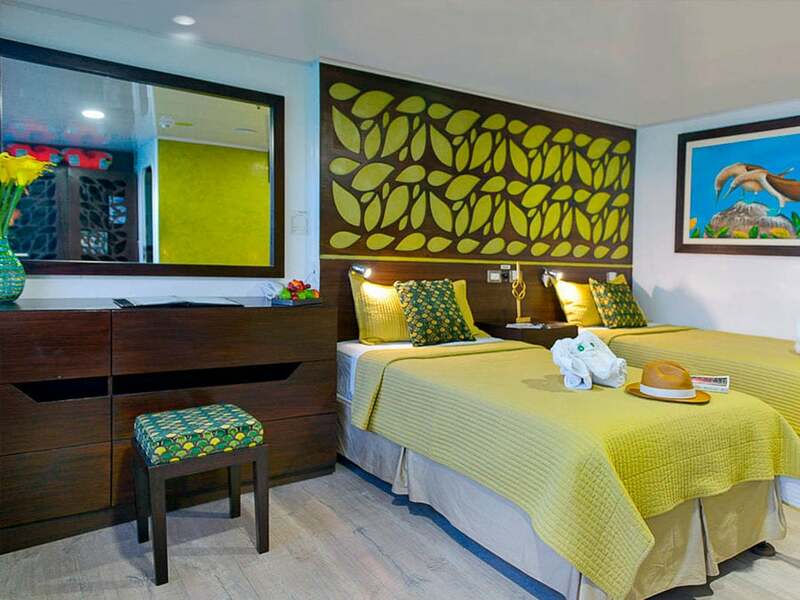 There is also the elegantly styled dining room where you will enjoy delicious meals. 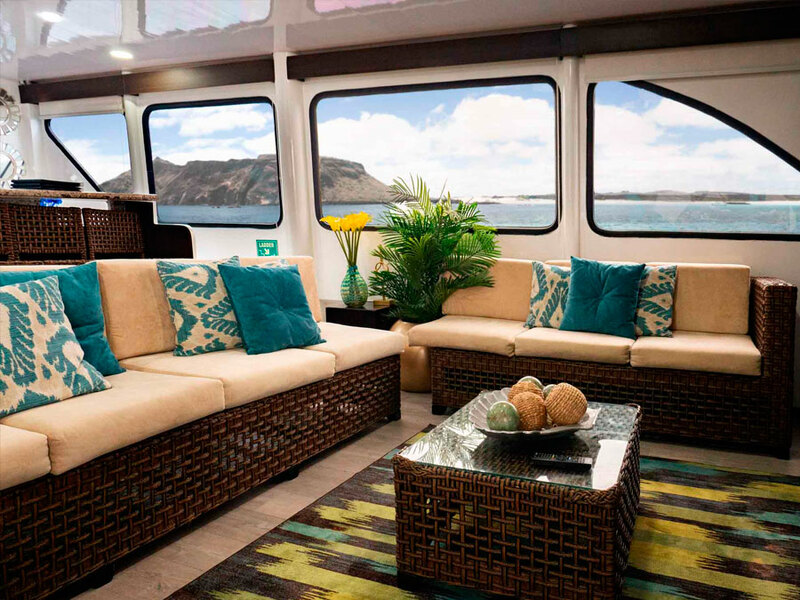 The social areas you can enjoy include the lounge area to relax or read, the sundeck to take advantage of the beautiful scenery or simply to enjoy the sunshine, and the dining room for your meals. 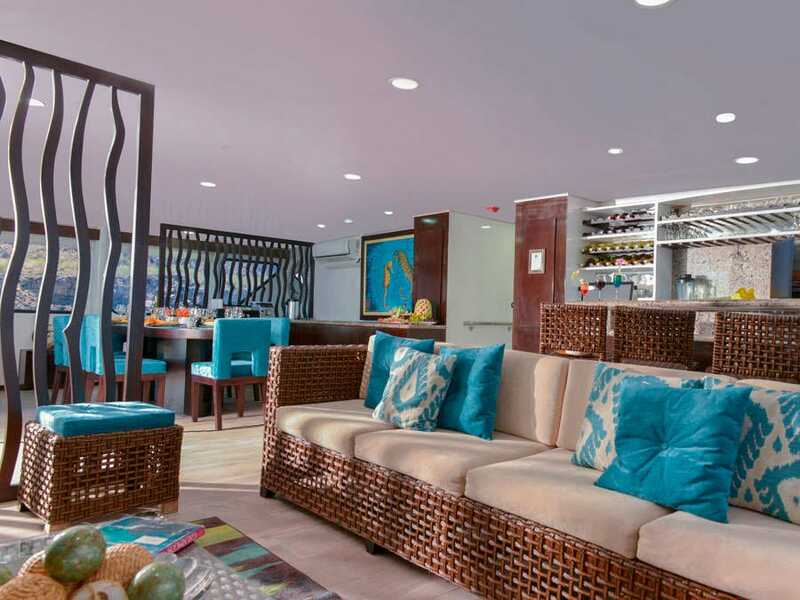 The bar is then found next to the lounge area making it easy to relax with a cocktail. 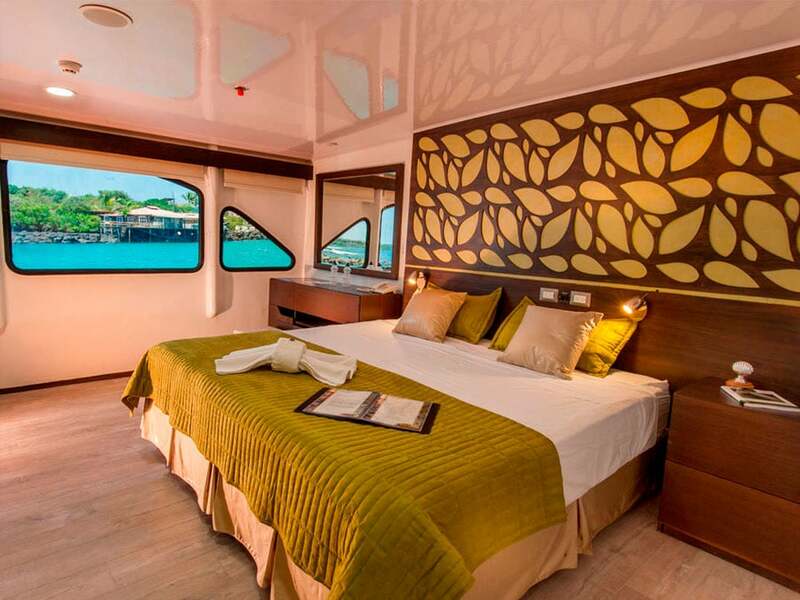 There are paintings of Galapagos animals dotted throughout the vessel, which are the works of local artists. 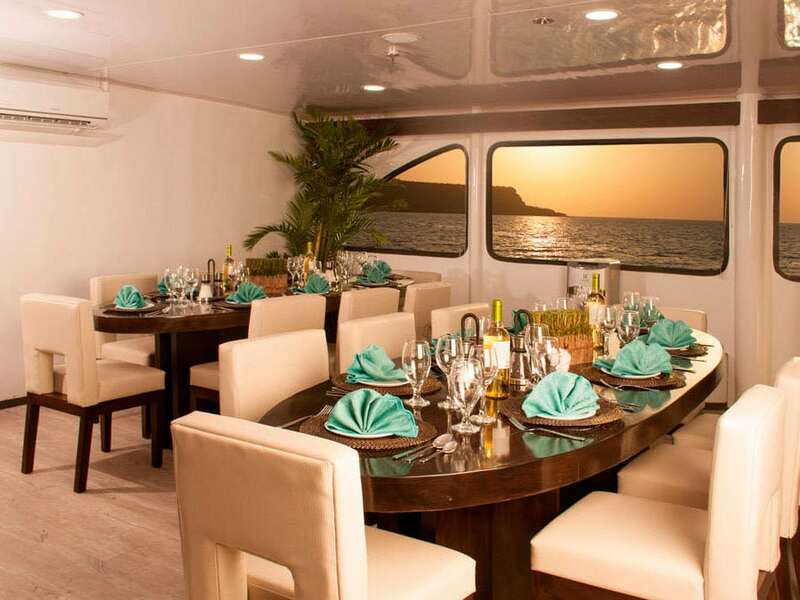 Your meals aboard the Eco Galaxy will include a mix of national and international favorites. Special diets can also be accommodated with prior notice. 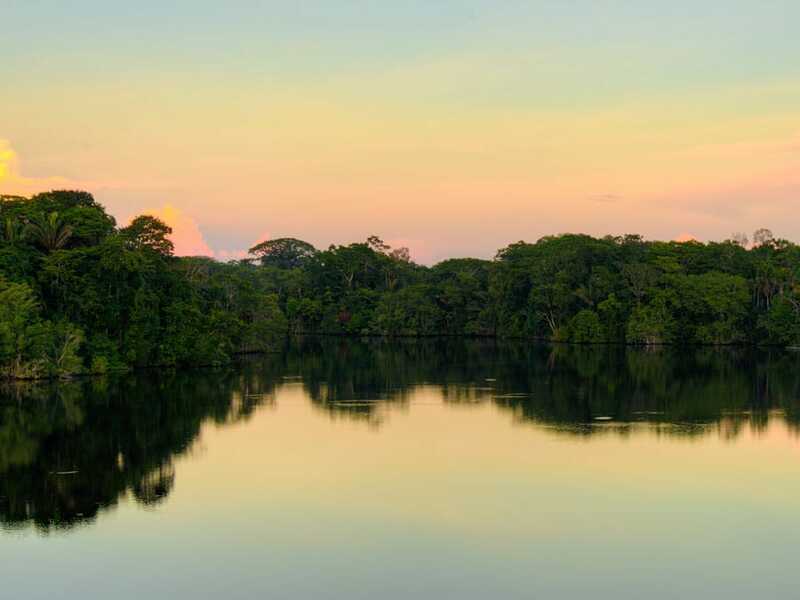 The Eco Galaxy Cruise offers fascinating guided expeditions from the main vessel complemented by excellent service. 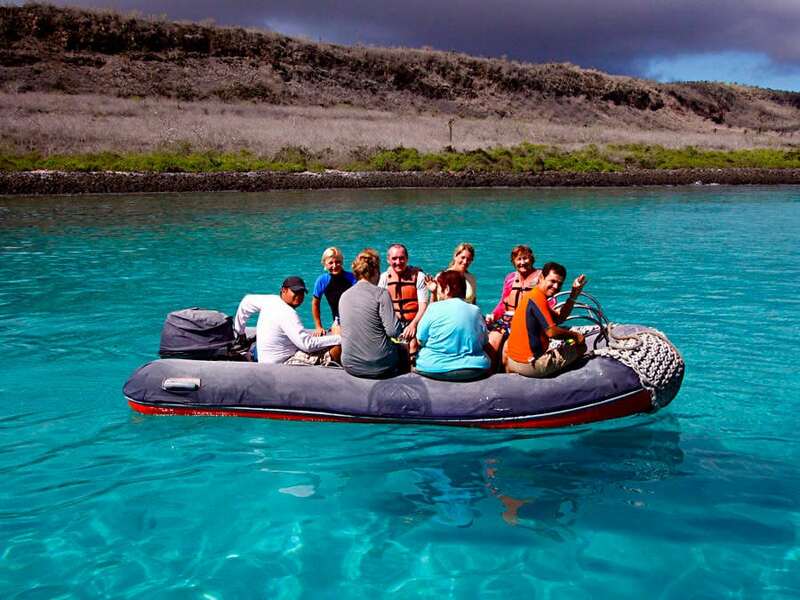 The Eco Galaxy offers double kayaks and also zodiacs, which are used for fun activities and transportation. 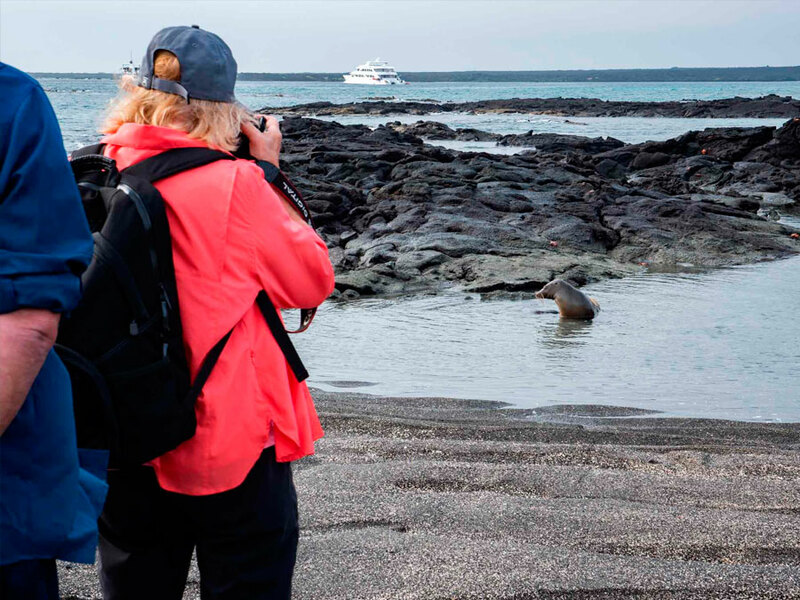 Explore the favorite and most famous areas of the Galapagos Islands to enjoy incredible wildlife experiences, beautiful scenery and the fascinating natural features. 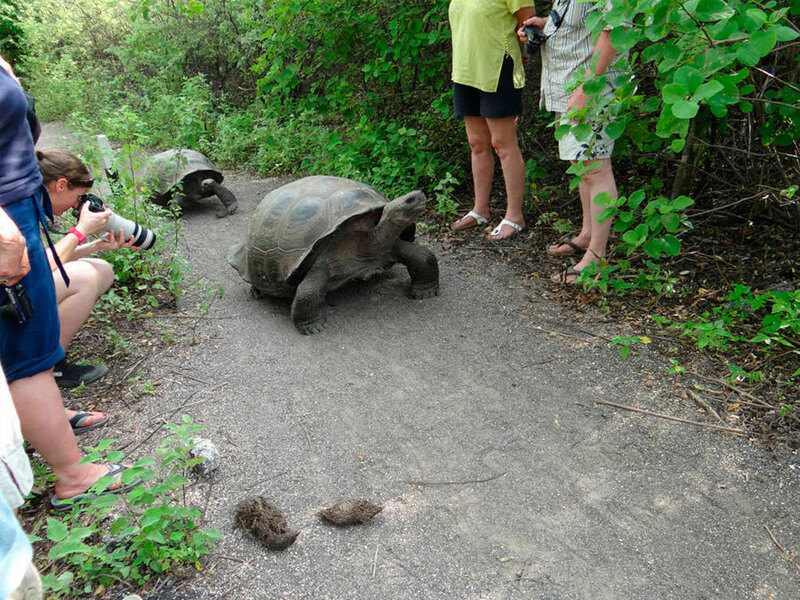 Activities include hiking, snorkeling, swimming, kayaking, wildlife watching, photography and more. 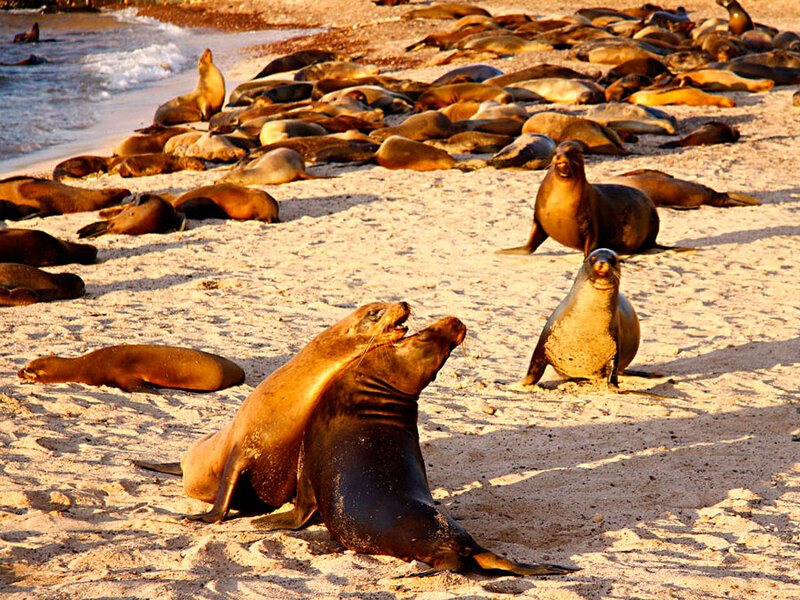 Snorkeling equipment is provided.